This week’s program features some great new Blues releases, including a pair of albums featured in past broadcasts that are finally available for fans to purchase. The Jordan Patterson Band first had their album featured in 2014. It was just released, last week! Another update came in the form of Peter Karp and Sue Foley’s Live For Hope set, featuring one live album from each of the pair, with 100% of proceeds benefiting the Ovarian Cancer Research Fund. The Arson’s Match and Change are available now. The featured selection from inside “Johnny’s Mailbox” is “Bad Contract” by Toronzo Cannon. The song appears on Toronzo’s new album, The Chicago Way. This record is his label debut with Alligator Records, and it is a tremendous piece of contemporary Chicago Blues. This week’s program is different than any other in the nearly eight year history of Full-Time Blues Radio. It is a respectful look at mental illness through recent Blues songs and educational information. John Luttrell, executive producer of our show, comes to listeners in the beginning of the program to explain that this episode was created after a conversation with a loved one who is battling clinical depression. Below, you will find links and contact information to organizations that offer help to those battling mental illness, and those who want to help others. In this episode, Johnny Full-Time talked about a song by pop music group Gnarls Barkley, “Just A Thought,” that deals with suicidal thoughts. If you scroll below this week’s playlist, you can watch a music video featuring this incredible song. WARNING: Content may not be suitable for all audiences. Thanks to YouTube user Silas Addington. The first few weeks of each new year provide an opportunity to catch up after the holidays with new release albums that came out at the end of the previous year. That’s what you’ll hear, this week, on Full-Time Blues Radio. There are seven albums featured in this playlist that have never had music on the show before! The featured selection from inside “Johnny’s Mailbox” is “Brand New Fool” by the Knickerbocker All-Stars, featuring Sugar Ray Norcia on vocals. It comes off the new CD Go Back Home To The Blues, which is available now. The Knickerbocker All-Stars are a somewhat rotating group of the American northeast’s best Blues musicians who have been a part of many great bands over the years, including Roomful of Blues, the Duke Robillard Band, Sugar Ray and the Blue Tones and others. Men who play on this disc include Sax Gordon, Mark Teixiera, Monster Mike Welch and Al Basile! As the fall season begins, some terrific new release music becomes available for fans to consume, and those fall releases are streaming in to our offices; and that means they will hit the airwaves on this and future episodes of Full-Time Blues Radio. This week features new discs from Webb Wilder, Andre Bisson, and many others. You’ll hear the title track from Peter Karp’s new live disc, The Arson’s Match, which was recorded live in New York City with guest Mick Taylor. Peter Karp and Sue Foley have been creating some incredible albums together in recent years. In 2015, they team to release individual live CDs, together, to benefit the fight to end ovarian cancer. Live For Hope is a double live set featuring Karp’s aforementioned The Arson’s Match, along with Sue Foley’s live disc, Change. Proceeds from the sale of Live For Change benefit the Ovarian Cancer Research Fund. 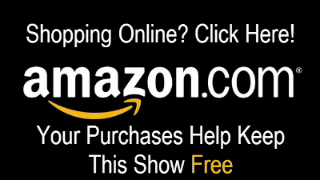 The best way to stay up-to-date on where and when you can purchase it is by visiting www.KarpFoley.com and by staying tuned to http://www.FullTimeBlues.com for updates.